The numbers are pretty compelling to use a dingo operator for your trenching job. Aaron from Aaron’s outdoor living thought so when he needed to run some power to a display unit in his yard. I’ve not met Aaron but his people ran the numbers and it was a no brainer to use our professional operator to get his electrical trench in place. Why did Aaron choose to hire a dingo operator for his trenching? Before I get onto the numbers for trenching with a dingo operator, who is Aaron? Aarons outdoor living manufacture and install a wide range of quality cubby houses, bali huts, workshops, home studios, and African thatches (you’ll have to look up what African hutches are!). 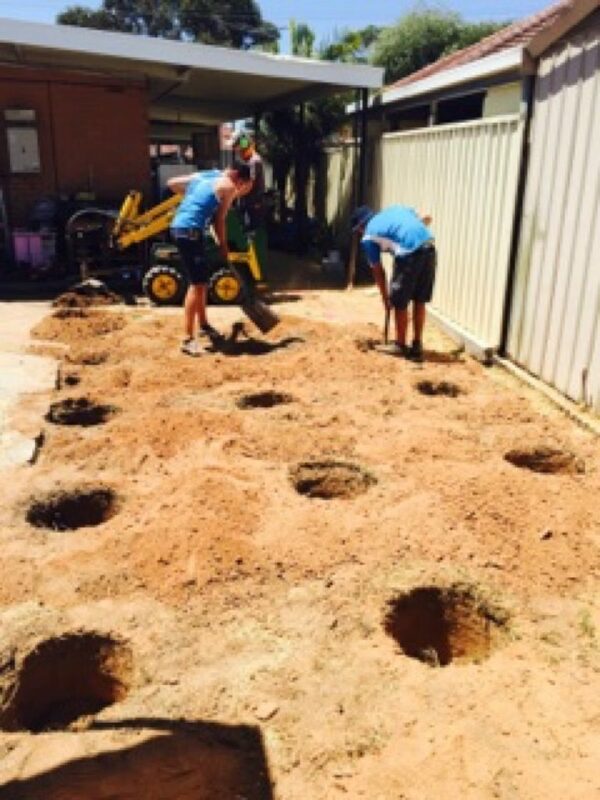 When it comes to getting sites prepped for their installs, Aaron’s use U Kanga Do It for their footings. However, in the event of connecting power to a display site, we conducted some trenching at their Pt Wakefield yard. They needed 15 metres of trenching across their yard so having us operate the digger was a no brainer. Their installers would be demoralised digging an electrical trench by hand! This is an example of the basic economy of hiring a dingo operator to conduct your trenching or general earthmoving job. The mounting evidence makes it worth considering next time you need something done in dirt! Consider using a professional operator for your next trenching, footing, site prep or general earthworks job. If you are searching for a dingo operator for your trenching, footings, fence post holes, site prep or leveling, U Kanga Do It offers you a no fuss professional service. 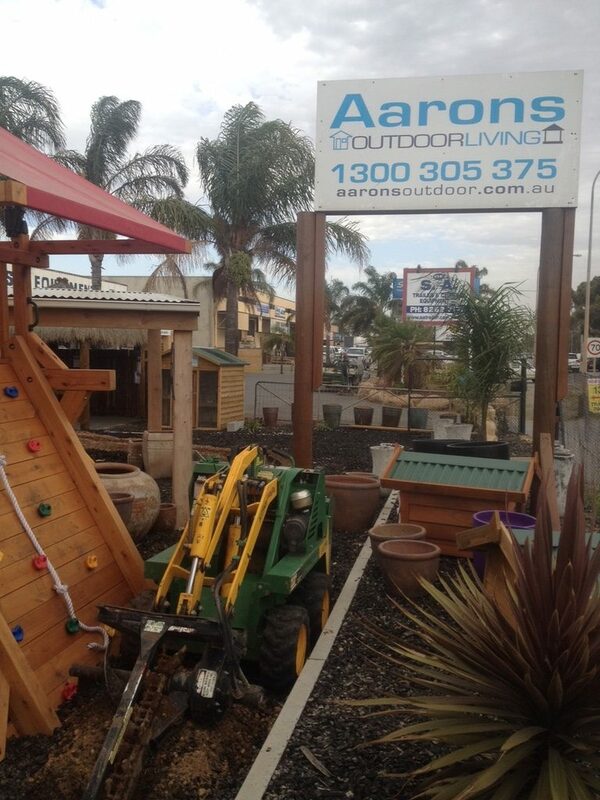 Aaron’s Outdoor Living choose U Kanga Do It for their site prep.